The Chicago Tribune gives YEN ★★★½! "Exceptional." "Unstinting." "Daringly dark." (Summer Camp & Aesop’s Residency) can be found around town teaching, directing, and storytelling. 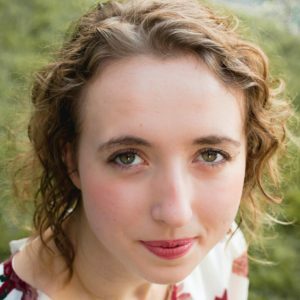 Emily has taught in and out of the classroom with Raven, Mudlark, Northlight, and Lifeline Theatre. Past directing works include Assistant Directing Lifeline Theatre’s original production of Miss Holmes and directing the remount of Aesop’s Fables with Mudlark Theater. Emily also spends time in the administrative offices of Mudlark Theater, and the Box Office at Lifeline. Emily is a firm believer in the power of a strong ensemble. Passions outside of the theatre include baking, curling up with a good book, games (board games or other), and cats.